Hakone makes for a perfect day trip from Tokyo. It is located 2 hours north of Tokyo and known for its many hot springs. Hakone also offers one of the best viewpoints to see Mt. Fuji (when the weather cooperates). 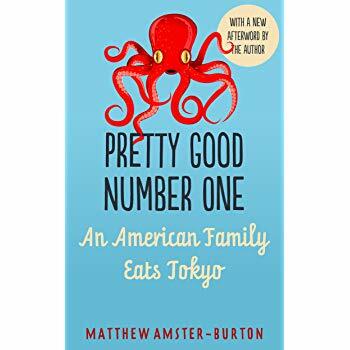 Even though there are plenty of possible day trips from Tokyo, since my mom was coming with me I was looking for something that’s mellow and doesn’t require a lot of walking around (which is more how I usually roll). 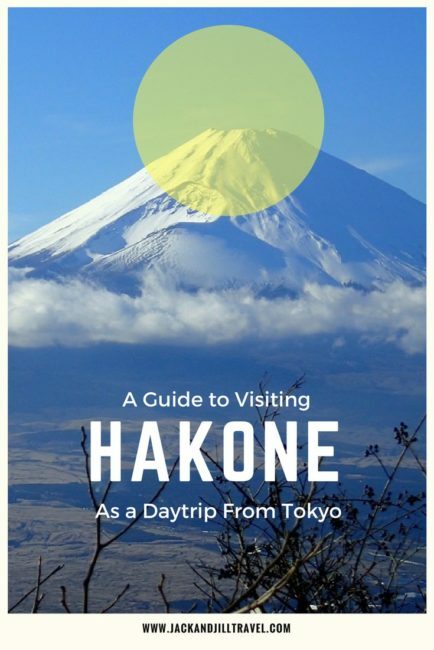 Is it possible to do Hakone day trip from Tokyo? We left Tokyo at 6am and didn’t go back to Tokyo until 8pm, so a day trip to Hakone from Tokyo is possible even though it’s going to be one long day. 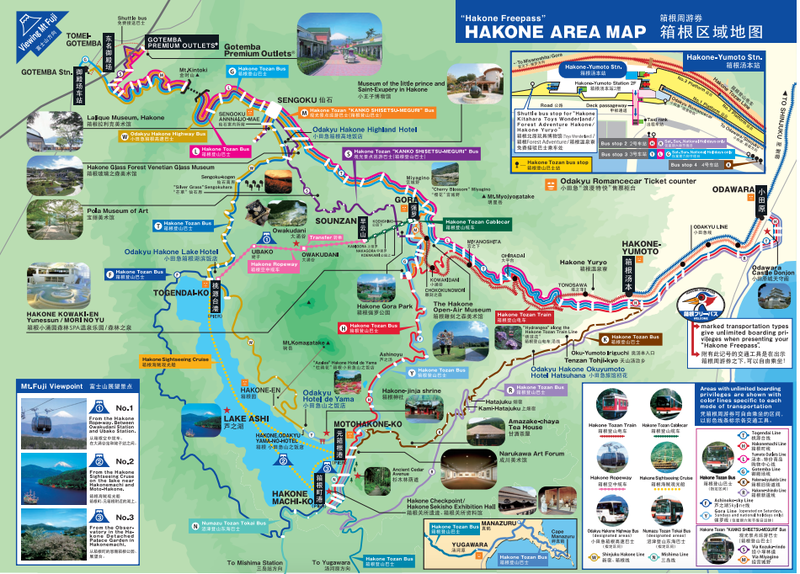 We even managed to do the whole Hakone loop itinerary using the above-mentioned Free Hakone Pass. However, it did leave me wishing that I had more time for an overnight stay. We didn’t have any time to see any museums or any onsen (hot springs) that Hakone is famous for. On the other hand, those weren’t really my priorities anyway on this trip so I was ok with it. You can get a Hakone Free Pass (which despite the name, costs 5140 yen per person) from the Odakyu office in Shinjuku, the same place you get your train tickets to Hakone. The Pass is valid for 2 days. Even if you’re only going on a day trip to Hakone, as long as you’re planning to do the whole of Hakone loop, it’s still worth getting the pass. The Hakone loop circuit is super touristy and just a little cheesy. The loop takes visitors through all of Hakone attractions and the Hakone Pass allows you to visit these attractions using multiple modes of transportations: train, cable car, buses, and even crossing a lake on a pirate ship! Think of Hakone Pass as hop-on-hop-off pass, but using more than just a bus! It’s hugely popular and it has a theme park feel to it where you’re part of a herd being shuttled from one point to another. On the plus side, this makes Hakone a low-stress, super easy day trip from Tokyo that can be done with very little research or pre-planning; all of the different transports line up, there were bathrooms everywhere, and there were signs/maps/brochures. Hakone loop is a very well-trodden path and it’s next to impossible to get lost. The easiest way to get to Hakone from Tokyo is to take the Romance train (or Hakone Limited Express) run by Odakyu company. When you get to Shinjuku Terminal, just follow the signs for Odakyu Railway (or Romance car) to get to the ticket counter. If you have a Hakone Pass, the Romance train costs an additional JPY 890. You can avoid paying this additional fee by taking the local trains (also run by Odakyu, also from Shinjuku), but you need to transfer at Odawara (super easy, just cross the platform to the waiting train). Taking the local train takes about 40 mins longer than Romance train but is free for Hakone Pass holder. There are 3 departures in the morning: 7am, 7:15am, and 7:45am. The next one after that is at 9am. I’d recommend taking the 7 am one because it’s going to be a long day and having an early start, especially when you plan to do the Hakone loop in winter, is essential to maximize daylight hours. The Romance car’s end terminal is Hakone Yumato which is also the start/end point of the Hakone Loop. You can do the loop in either direction but I think most people to it counter clockwise. From Hakone Yumato we took Hakone Tozan Train which is an old-school train that zig zags its way up a mountain side. We got off at Miyanoshita for breakfast but at 8am everything was still closed. We ended up getting some snacks from a convenient store and eating it at the parking lot before jumping back on the train again. Gora is the end of Hakone Tozan Train. We walked around the station for a bit and discovered a store selling yosegi puzzle boxes! Guys, I was so excited when I learned this because more than food, more than sumo, the ONE thing I wanted to find in Japan is yosegi puzzle boxes. We could’ve gone home then and there and I’d have been happy as a clam. Yosegi is japanese art of parquetry (see this video – ignore the cheesey soundtrack). It’s so beautiful and I was just awed by the artistry of the whole process. Well, it turned out that the forests around Hakone produce the wood used in yosegi and there are a lot of stores selling yosegi puzzle boxes, trays, etc. This was an unexpected highlight of Hakone for me. I highly recommend that you check out some of the stores in Hakone for some yosegi items. Tip: the best stores I found were in Moto Hakone near Lake Ashi. After buying some yosegi souvenirs in Gora we took a cable car to Souzan. From here, a ropeway car dropped us off in Owakudani, high up the mountain. The Hakone area is volcanic (thus the abundance of hot springs) and here around Owakudani you see sulphur vents releasing smoke from cracks on the ground. The local specialty is kuro-tamago, or black eggs, boiled in the local hot springs. Legend has it, eating one of these will add 7 years to your life. They sell a bag of 5 eggs for JPY 500. Less than 5 bucks for 35 additional years? Not bad. I was disappointed though to see that only the eggshells were black. Somehow in my head I imagined the whole eggs would be black, you know? From Owakudani, another ropeway took us to the shore of Lake Ashi where we boarded one of the pirate ships for a 30-min ride across the lake. It was cloudy and windy when we got on the ship and I couldn’t stay out on the deck for long. To be honest, once you get over the brightly colored themed ship, it was basically just a regular ferry. You’re supposed to be able to get a good view of Fuji-san from the lake but unfortunately it was hiding behind cloud covers for most of the ride. Except towards the very end. Warm sake was much needed on this cold January day. We got off at Hakone Moto where we walked around to look at more yosegi stores. Then we took a bus back to the our original starting point. But on the way, we made one last stop that turned out to be yet another highlight of Hakone. 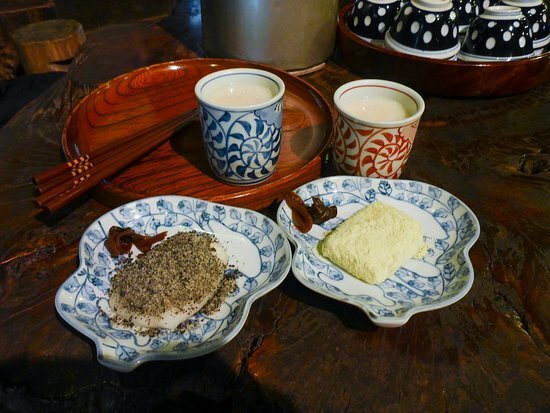 Amazake-chaya is a teahouse that has been around since the Edo period (1600 – late 1800). The friendly and English-speaking owner served us the house’s specialy: amazake – a fermented rice drink – and mochis. The teahouse is in a stretch of empty road hemmed on all sides by forests. Its isolated location hasn’t always been the case. The road used to be a popular route connecting Tokyo with Kyoto and during its heyday there were inns and teahouses just like this. 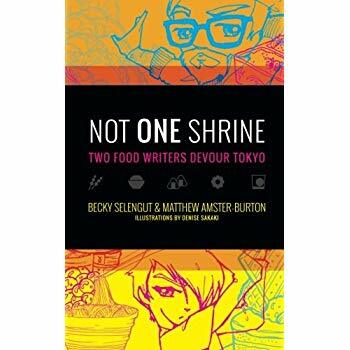 Now, only Amazake-chaya is left – a lone outpost serving weary travelers menu that hasn’t changed much since generations ago. It was dark and cozy inside the teahouse. The floor is packed dirt that needs to be watered every now and then to prevent dust. Guests sit on cedar tree stumps. The fermented rice drink was hot and sweet and comforting and the mochis were delicious. Amazake-chaya felt like a really special place and I’m so glad we stopped here. I highly recommend making Amazake-chaya a stop in your Hakone loop itinerary. It looks a little forlorn in winter. Warm cups of amazake at Amazake-chaya teahouse. Amazake is is a traditional sweet, low- or non-alcohol Japanese drink made from fermented rice. Hakone Open Air Museum is supposed to be excellent as well with a highly popular Picasso pavilion. Stay in a ryokan onsen – a traditional Japanese inn that features its own private onsen (hot springs bath). Hakone has many of these ryokan onsen at any budget level. Some of the highly recommended ones are Washintei Hougetsu and Aoisou. If I had the time, I’d have jumped on the chance of staying in one of these onsens because… what could be better than hot springs? My own private one. How cool would that be? Find an onsen in Hakone. 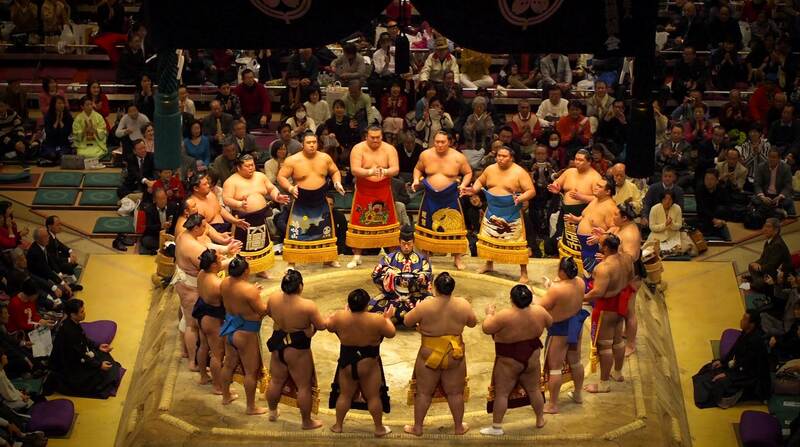 Don’t miss: I also wrote about my time in Tokyo and how to watch sumo in Tokyo. 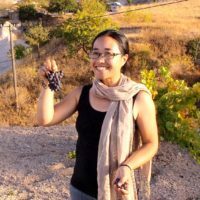 What a fascinating experience! So much to see and do!